Born and raised in Kolkata, Rohini started training in Hindustani classical music at the age of six. Later she moved to Chennai to study Western Classical and Hindustani Classical music at Dr. AR Rahman’s KM Music Conservatory majoring in Voice and graduated with a Diploma in Music Performance. During this period, she performed with Dr. Rahman in various cities across India and also toured with the German Babelsberg Film Orchestra and the BBC Scottish Symphonic Orchestra, performing in Berlin and Scotland respectively. 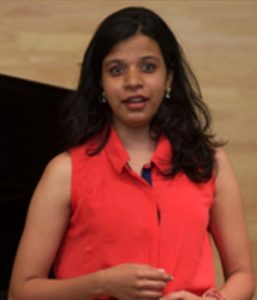 After completing her education in the conservatory, Rohini moved to Mumbai and joined the faculty of the Mehli Mehta Music Foundation in January 2015, first as a Discover Music Assistant and later also as a choir teacher. She continues to study Voice under the tutelage of Pandit Prabhakar Karekar.